Oakwood is intentional about being an open community. By that, we mean that we joyfully welcome all who would like to attend our worship services and participate in the various ministries of Oakwood. We invite people to come to Oakwood wherever they are in their spiritual journey, and we long to influence them in their movement closer to the heart of Jesus Christ. When we talk about membership at Oakwood, however, we mean something much more than simply attending. Quite frankly, membership is a covenant of commitment to the Lord Jesus and to those who are part of Oakwood. It mirrors the kind of commitment Jesus made to His Bride, the Church. By its very nature, membership in a local church is limited to those who are part of the "true church"--those who have given their lives to Jesus and are part of His family. 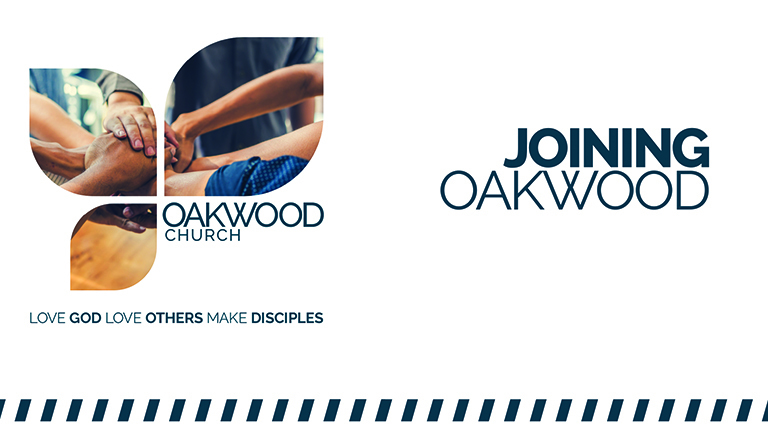 Beyond that, members of Oakwood are sincerely devoted to God's call on their lives to be disciplemakers. Joining Oakwood is generally offered once a year in the spring. This year, it's April 7 & 14, 2019 from 10:30-1:30, both Sundays. Let us know you'd like more information! Do You want to learn more about Oakwood Church? Check out our blog for general information, specific details and an insider's look at who we are!